The happy couple are back in the final season of Game of Thrones. 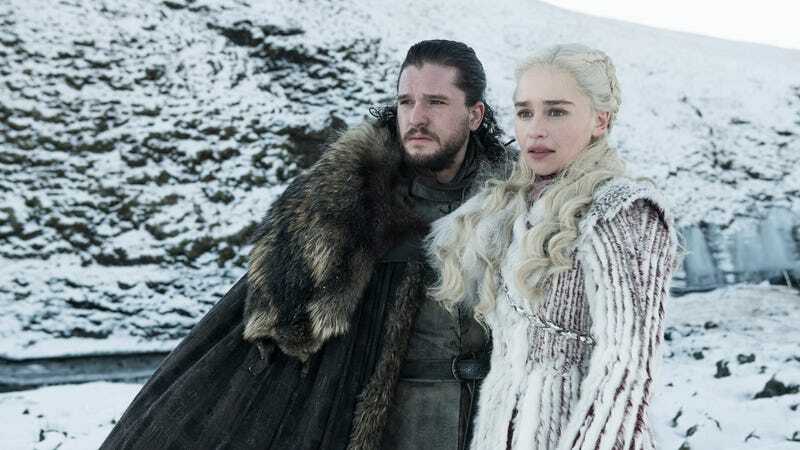 All your faves are back in the first set of photos from the eighth and final season of Game of Thrones. The photos were revealed on the Game of Thrones Twitter. Let’s not waste any more time. Jon Snow and Daenerys Targaryen are teamed up, in some very warm furs. Samwell Tarly looks happy about something. Cersei Lannister looks unhappy, as usual. Bran Stark is deep in thought, as Bran Stark tends to be. Daenerys with quite the shoulder cover. Arya Stark truly looks like a badass. Davos Seaworth looks like something is wrong. 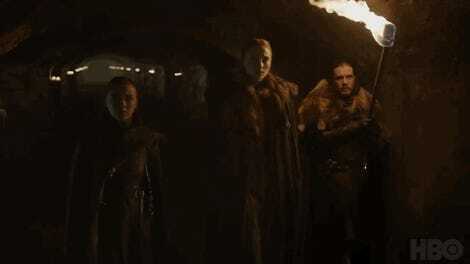 Sansa Stark does not give an Eff about anything. Cersei with some elaborate armor. Tyrion Lannister is back, of course, still sporting those glorious curls. Jaime Lannister, the Kingslayer, looks pleased, doesn’t he? Brienne of Tarth is intense as always. Oh Jon, what have you done? Honestly, there’s not much to go on in these photos. They’re close-ups in mostly familiar outfits, with familiar looks on everyone’s faces. But, like that early tease from a few weeks ago. It’s something. It’s coming. Game of Thrones will be back April 14.